The role of communities leaders and leadership is growing in importance in rural places. 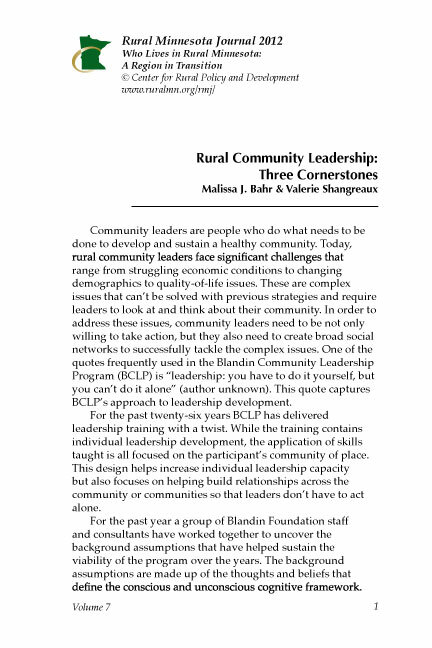 The Blandin Foundation’s longstanding leadership program relies on not just building leadership skills but also building the networks and relationships needed as communities face new challenges. Click here to read or download.